Identity Theft: Don’t Panic…Just Act! It seems that every day we are hearing about another company being hacked and personal information being stolen. Don’t Panic! First, take a deep breath. It’s going to be okay…we’ve got your back. We’ll start by figuring out if you’re a victim of identity theft, and then give you tips on how to protect your identity moving forward. Am I A Victim…Or Not? One way to find out if you’re a victim of identity theft is to request a FREE copy of your credit report. YES! Everyone can request a free copy of their credit report once a year from each of the three top credit reporting agencies – Experian, Equifax and Transunion. You can read all the details about this from the FDIC online by clicking here. After you get your free credit report, double – maybe even triple – check it to make sure all your accounts are listed correctly. If you see any accounts you do not recognize contact the company listed on your report and report it to them immediately! Another way to find out if you’re a victim is to closely monitor your mailbox. Identity thieves steal people’s mail and change their address at their banks and billers. If you’ve stopped receiving bank statements or bills at your home, call your bank and/or creditors ASAP! Even if you continue to receive your mail, make sure you review your bank statements and bills thoroughly every month. Identity thieves can order items using your identity and have it shipped to another location. Time really matters here. You want to catch any and all unauthorized charges as soon as you can. Starting the dispute process with your bank and creditors will help you recover any losses quicker. Great news…for now. To protect your identity, you may want to consider freezing your credit reports. The credit agencies are able to place freezes and holds on your credit report, this will prevent anyone from being able to open more accounts in your name. Step 1 – The first step you should take is to contact all three credit reporting agencies and report it to their fraud teams. The credit agencies are able to place freezes and holds on your credit report, this will prevent anyone from being able to open more accounts in your name. Step 2 – Next, you should file a police report. We can’t stress this enough, the sooner you file the report the better. Keep a few copies of the police report for yourself as your creditors and banks may request it. This may be the hardest step of all, but having the report will help your creditors with their own investigations. Thieves won’t file police reports! Step 3 – You should contact the creditors or billers that showed up on your credit report that shouldn’t have been there. They need to know that the accounts they are reporting in your name are not in fact yours. They may even request a copy of your police report which is why filing and keeping copies of the report is so important. Work with these creditors and billers to remove these fraudulent accounts from your report before major damage can be done. Now that you have taken the 3 steps above, the worst is over! Time to move forward with your life after identity theft. There are plenty of tools you can use and actions you can take post identity theft to help keep your info safe. The Federal Trade Commission and the FDIC have some great resources and recommendations for services that will help you protect your identity moving forward. You can also set up different types of alerts at the credit reporting agency of your choice. We always recommend erring on the side of caution, so go ahead and set up alerts at all 3 major credit reporting agencies. This way, if someone tries to steal your info again you can catch it before they do any harm! 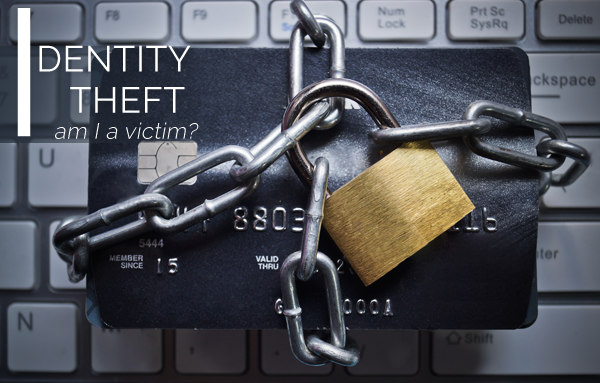 Remember…when it comes to identity theft, don’t panic! You may be a victim today, but with time and action, there will be a light at the end of the tunnel…we promise! I opened an account but can't find any of my documentation. I would like to make regular deposits. What should I do? Hi Mildred. Please give our customer support team a call at 1-877-663-8648 for assistance.